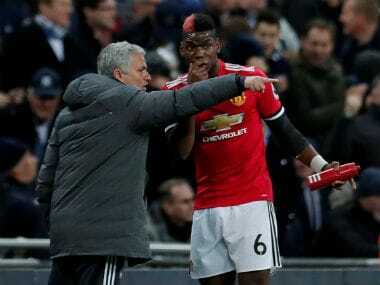 Manchester: Manchester United manager Jose Mourinho is under pressure to show a more daring approach and get the best out of Paul Pogba and Alexis Sanchez for a grudge match against Chelsea's Antonio Conte on Sunday. 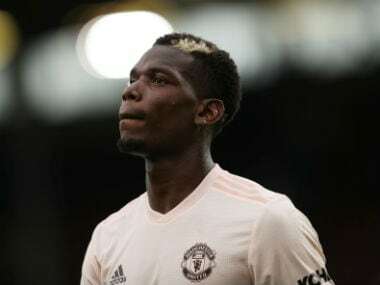 Pogba hasn't completed 90 minutes in over a month after being dropped by Mourinho for Wednesday's 0-0 draw at Sevilla in the first leg of United's Champions League last-16 tie. Despite avoiding defeat in Spain, thanks in large part to the heroics of goalkeeper David de Gea, Mourinho's ultra-defensive approach has drawn stinging criticism from pundits and sections of the United support alike. 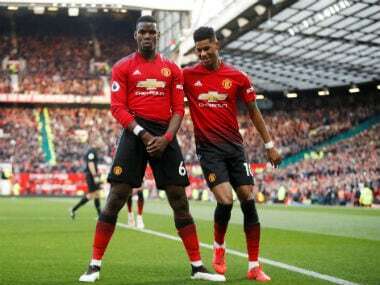 The Portuguese reacted angrily when quizzed whether the club's two marquee signings of his reign in Pogba and Sanchez need the more creative freedom to perform. Sanchez's only goal in a United shirt since joining from Arsenal last month came in bundling home the rebound after his penalty had been saved by Huddersfield goalkeeper Jonas Lossl. Mourinho also has personal pride as well as vital points in the four-way race for three places in next season's Champions League at stake due to a roaring rift with Conte. The two have exchanged multiple verbal jibes, most notably in January when Mourinho appeared to allude to a suspension Conte served in relation to match-fixing in Italy. The Italian was later cleared of any wrongdoing. "We can meet in a room to try to explain about these comments," Conte said at the time of his trip to Old Trafford, as well as labelling Mourinho "a little man." Conte was first to dabble in the war of words ahead of this weekend, though, as he said he fully expects to see Pogba start on Sunday. "We are talking about a top player, a fantastic player," said Conte, who coached Pogba at Juventus. "My expectation is to see him on the pitch. If he stays out it will be better. "Every coach has to find the right way to manage him. Pogba is showing at United he is a top player." Pogba's role and the tactical battle between Mourinho and Conte could be influenced by the absence of Ander Herrera through injury. Pogba replaced the Spanish midfielder after just 17 minutes in Seville to play in his favoured role on the left of a midfield three. However, Mourinho used Herrera twice last season to virtually man-mark Chelsea dangerman Eden Hazard with very different results. 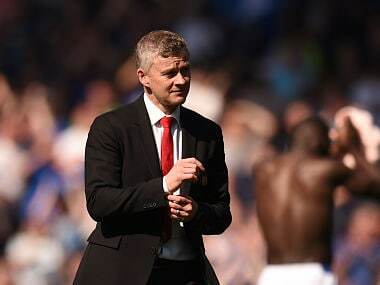 Herrera was sent-off after just 35 minutes as Chelsea edged an FA Cup tie 1-0 in March before United responded by winning 2-0 Old Trafford in April. Just four points separate United in second from Tottenham in fifth, whilst victory for fourth-placed Chelsea will move them level on points with their hosts. "The run for a place in the Champions League is open, so we must pay great attention," added Conte. "In this run there are many great teams, and someone will have to stay out of the next Champions League." Both sides could also feel the after effects of their Champions League exertions in midweek. 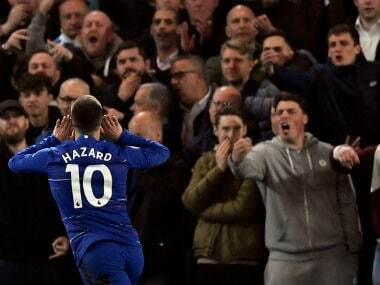 Chelsea have a slight advantage as they held Barcelona 1-1 at home on Tuesday, 24 hours ahead of United's trip to Seville. And Conte has plenty of options to freshen up his starting XI after leaving strikers Olivier Giroud and Alvaro Morata on the bench to deploy Hazard in an unusual central role. Willian is likely to keep his place though after scoring and also hitting the woodwork twice against the Catalan giants. "When you play this way, the coach doesn't have a doubt and you play," said Conte of the Brazilian's performance.